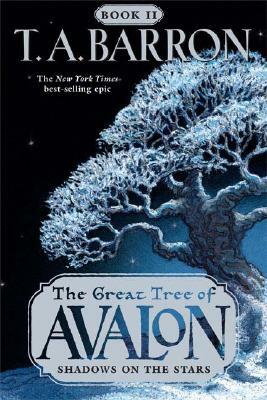 When young Tamwyn, determined to solve the mystery of the vanishing stars, seeks a vision in the mountains, he is confronted by a vision he never expected: From the place of the stars, dark shadows, omens of evil, are pouring out toward Avalon, posing a threat to the Great Tree's very existence. Tamwyn and his loyal troupe must split up: Elli to rush to the Lady of the Lake, Scree to heal with the Eaglefolks, and Tamwyn to journey to the Heartwood of Avalon itself to discover the portal to the highest branches and confront the very powers of Darkness. T.A. Barron is the award-winning author of fantasy novels such as "The Lost Years of Merlin" epic soon to be a major motion picture. He serves on a variety of environmental and educational boards including The Nature Conservancy and The Land and Water Fund of the Rockies, and is the founder of a national award for heroic children. Following a life-changing decision to leave a successful business career to write full-time in 1990, Barron has written seventeen books, but is happiest when on the mountain trails with his wife, Currie, and their five children. "